In attempting to locate Dionne Brand’s Land to Light On in a paradigm of book history or print culture, I found that it resisted at every turn my research. Not quite postcolonial in its poetic content, and not quite Canadian in its imagination, Land to Light On offers nothing but refusals of tried and true scholarly categories. Even the material nature of the book is one of resistance. The spine and covers express a desire to remain shut as I attempted to read and scan the pages for this exhibit. What was intended to be a postcolonial intervention into the Moveable Type: Print Material in Special Collections quickly unravelled into something much more interesting. Indeed, whereas book history often frames itself in temporal certitudes (Finkelstein & McCleery 138, Fraser 23-24)—see for example the progressive, temporal organisation of this exhibit—postcolonialism tends to begin from the standpoint of geography, place, and space. Despite the temporal signpost of the “post” in postcolonialism, postcolonial scholars have retained a deep distrust and suspicion towards narratives of temporality, history, and progress (Ashcroft et al. 15-16, McClintock 12). 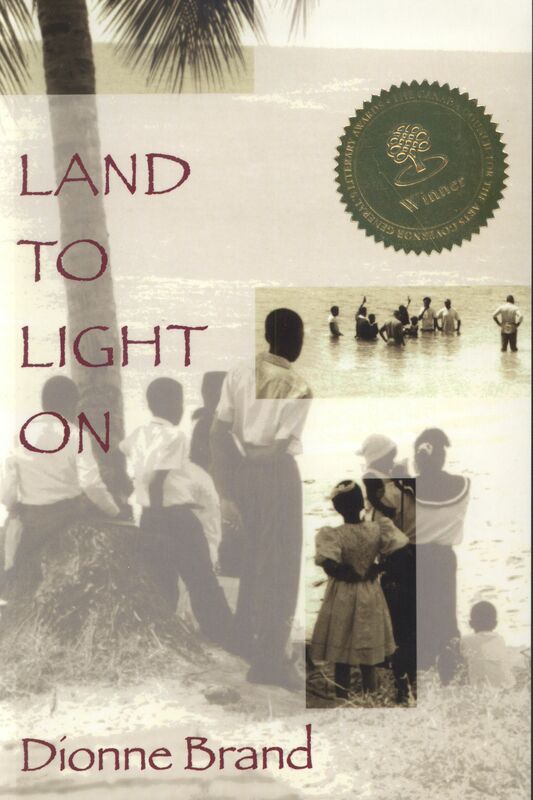 As such, my engagement with this particular copy of Land to Light On begins with questions of place. How does the materiality of this copy, hereafter referred to as the book object, allow us to think through its relationship to place? Moreover, in what ways does this book object’s materiality engender at once a Canadian particularism while also undoing the national boundary of Canada? Fig 1.1: Two lines from the poem "XV" on page 100. 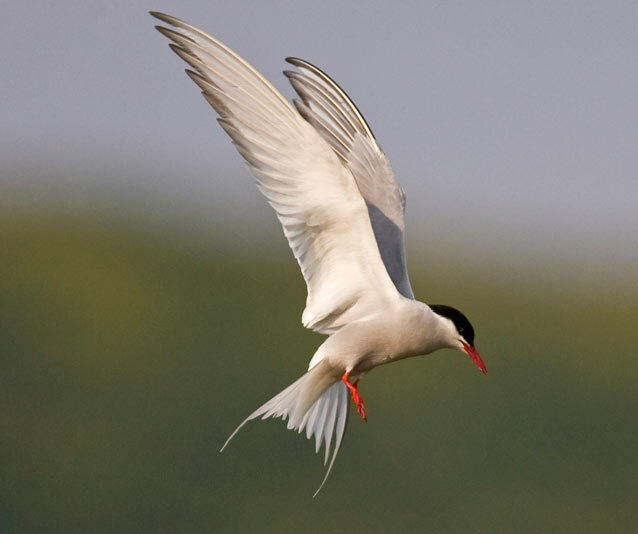 This inventory of nations might be the pathway of the migratory bird, the Arctic Tern. Land to Light On, in other words, refuses to be bound to a single place. It resists with every page the postcolonial impulse to engender a nationalized location, whether that be Canadian hills of snow or the ocean to the left of Brand’s shoulder in her nostalgic re-imaginings of Guayaguayare, Trinidad. Elsewhere, Brand questions the complacent feeling of belonging to a place. Throughout the fragments that compose A Map to The Door of No Return, Brand ponders an elusive Door that cannot be located on a physical map yet emerges through a cartography of the imagination. Brand writes, “Having no name to call on was having no past; having no past pointed to the fissure between the past and the present. That fissure is represented in the Door of No Return: that place where our ancestors departed one world for another” (5). For Brand, a woman of the black diaspora, much of her poetry engages with questions of place, belonging, and migration. Yet, what does migration mean for the black diaspora—communities of people scattered across the shores of the Atlantic Ocean—who were forcefully removed from their home? Brand answers this question with the metaphor of the Door, which signals the impossibility of returning home other than through the poetry of the imagination, a place not quite postcolonial, and a place certainly outside the temporality and spatiality of the colonial. Further, Brand muses, “Migration. Can it be called migration? There is a sense of return in migrations, a sense of continuities, remembered homes—as with birds and butterflies and deer or fish” (24). It is here I wish to suggest that, building on Audra Simpson’s theorization of ethnographic refusals, Brand’s lamentations of the Door of No Return and this book object offer, in Simpson’s parlance, a “cartography of refusal” (33). By this I mean that a cartography of refusal refuses both postcolonial and settler colonial mappings of experience, sovereignty, and imagination to a bounded sense of place such as nationality. In her seminal work, Mohawk Interruptus, Simpson challenges the geographical fixity of settler colonial borders that cut across Turtle Island (see Figure 1.2), often containing Indigenous movement and also erasing Indigenous geographical presence. While this page is not immediately concerned with Indigenous questions, I turn to Simpson’s critique of settler colonial understandings of knowledge and place to forward a different perspective on book history and print. A cartography of refusal, then, merely interrupts, resists, and refuses settler colonial and postcolonial “essence of nation” (Simpson 17) as well as “grounded fields of belonging” (Simpson 16), which more often than not delimit our understanding of book history, and global literatures more broadly, to specific narrow national imaginaries. The question becomes, then, how does literature produced within the black diaspora reimagine place outside recognizable categories of nation, history, and place? Further, how might our book histories take these re-imaginings into account? 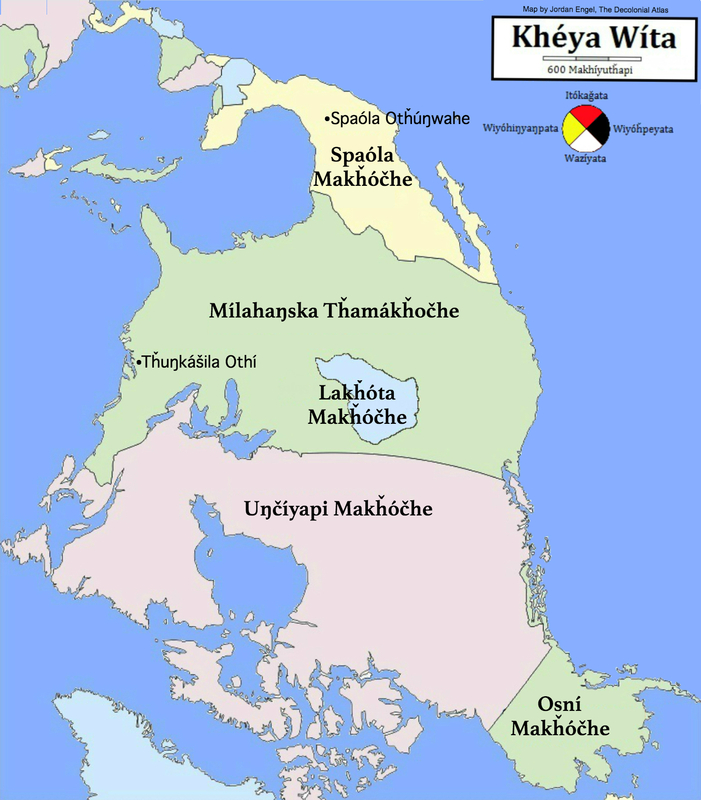 Fig 1.2: A Lakota's perspective of North America, or Khéya Wíta (Turtle Island). 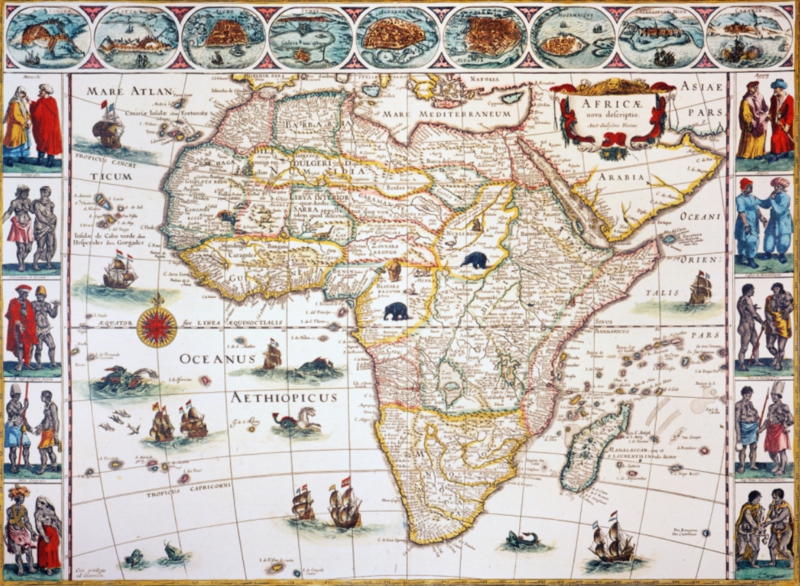 This perspective offers a cartographic refusal of colonial mapmaking. Woefully, most postcolonial scholarship within book history is limited to the familiar places of decolonized nations such as India, Cameroon, and Trinidad. The edited anthology Imperial Co-Histories: National Identities and the British Colonial Press, through a postcolonial framework, successfully describes the “hybridity” (Codell 17) of the press in colonized spaces, arguing that the press, rather than demarcating the metropole from the periphery or mother country from colony, instead “evaporated” (16) the distinction between these places. In “Publishing Francophone African Literature in Translation: Towards a Relational Account of Postcolonial Book History,” Ruth Bush uncovers the significance of translation between anglophone and francophone postcolonial nation-states in the constitution and marketing of an African literary canon (62). Both David Finkelstein and Graham Huggan have interrogated how “markets mediate” (Finkelstein 3) both readership and the dissemination of African and Asian literature both home and abroad. Finally, Robert Fraser’s Book History Through Postcolonial Eyes radically upends any “universal history of the book” (21) by examining oral histories and ulterior print technologies adjacent to continental Europe’s discovery of moveable type by Johannes Gutenberg. But all in all, these critical studies of colonial press neglect colonies such as Canada, New Zealand, and Australia in addition to a book history that emerges within the transnational imaginary of the diaspora. If the question of how do persons and communities of the black diaspora re-imagine place remains, then what do we make of this supposed transnationality of place? Where do we orient the readership along with the book object to a place that has become unbounded from a singular nation? In Black Regions of The Imagination, Eve Dunbar posits that, through an auto-ethnographic writing, the black diaspora of the American context “document versions of black life that they variously believed to be in danger of assimilation” and translate this documentation for “a mainstream reading audience” (5). Similar to Simpson’s position, Dunbar offers a way to think through this book object as an auto-ethnographic refusal, yet one that orients itself towards a broader readership. It might not be so much that the book object alone transcends, so to speak, local (provincial or territorial) and global (national or continental) boundaries but that it does in tandem with a readership. In other words, the book object and reader engage in an act of refusal and re-imagining of place—postcolonial or otherwise. Nevertheless, it remains a re-imagining mediated through the contours of a settler colonial legacy that works against these cartographies of refusal. As Brand writes rather pessimistically: “National identity is a dance of artificiality, since what it dances must essentially be unchanging. Some would say, well, no, Canadian identity has changed over the last thirty or fifty years. Not at all. We are drawn constantly to the European shape in its definition. A shape, by the way, which obscures its own multiplicity” (72). In the exclusion of settler coloniality from investigations of book history, predominantly with respect to settler states such as Canada, the literature neglects the role print culture and book history play in the formation, solidification, and naturalization of a settler colonial sense of place. I think this investigation is needed in a moment where border politics post-9/11 have become critical talking points across the disciplines in the humanities. Though I do not have the opportunity to answer this question here, I pose it anyways: what might a book history through settler colonial eyes look like? I leave the answer to this question up to the users of this page. “The book is a map,” Dionne Brand remarks in her memoir A Map to The Door of No Return. As I approached the building of this Omeka page, I thought about the book as a physical object and its relationship to place. What are the connections to place that book makes along its journey and what are the ways in which it records these places? Alongside this notion, I have considered the materiality of the book as not necessarily limited to the pages that compose its body. The language printed on the page is part of a “material practice” (Ashcroft et al. 41) and material make up of the book. 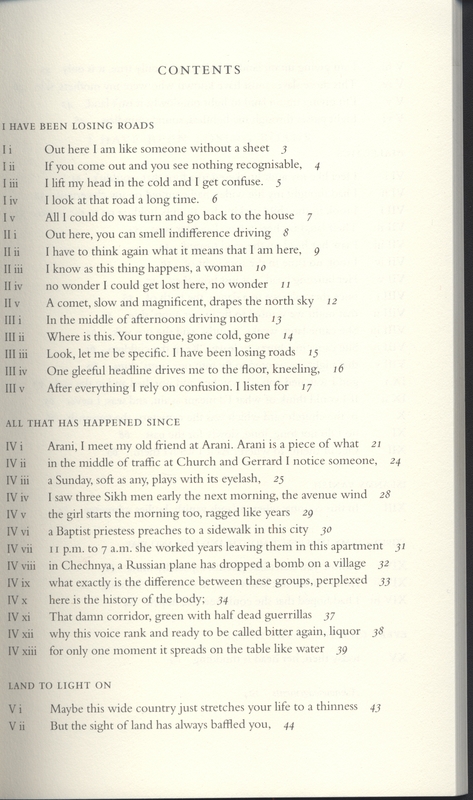 As such, this page heavily relies on the book object’s use of language to engender a multitude of networks with place. This choice is in part due to the rather clean nature of the book object. In many ways, it resists my own methodology of rendering the book as a map in this page. Nevertheless, I am committed to framing this page with Brand’s metaphor that a book is a map. What does this metaphor suggest for our understanding of the book as a physical object and Canadian as well as post/colonial book history more broadly? Certainly, a book in the realm of fiction and poetry does not resemble the Euro-American cultural conception of what constitutes a map: longitudes, latitudes, equatorial lines, and the border that orients a map into neat quadrants of a Global North and Global South (Check out JE’s page for an excellent discussion of the colonial mapmaking processes in James Cook’s Voyage to The Pacific Ocean). To be sure, the map has been and continues to be an object of play and imagination (see Figure 2.1). However, the book composed of not only prose or poetry but the materiality of pages, a cover, a spine, and sometimes decades worth of nicks, marks, annotations, and even neglect on a bookshelf orients us towards place in unique ways. One way of thinking about this metaphor of the map, then, is to begin thinking through the ways in which a book allows us to trace journeys, voyages, and migrations across places in the broadest sense of the term. The title of this book object, Land to Light On, embarks us on a critique of the fetishization of discovery inherent to the political-philosophical projects of colonialism. If colonial mapping served as a means of constituting and extending colonial power, knowledge, and culture (McClintock 3), then the title ironically encapsulates this colonial ideology only to refuse this ideology in the collection’s content. “In this country where islands vanish,” Brand laments, “bodies submerge, the heart of darkness is these white roads” (73). In cataloguing the landscape of Canadian scenery and culture, Brand re-imagines Canada as a “heart of darkness,” a place often reserved for Conrad’s tale of one man’s ambivalent voyage into the Congo (see Figure 2.2). Brand resists, offering us only the poetic declaration that she is “giving up on a land to light on” (45; see Figure 4.1). Indeed, the phrase “land to light on” mimics the colonial dream of transporting civilization to an anonymous and empty New World. On the one hand, a “land” beckons the civilizing doctrine of terra nullius or “the lands of no one” (Wynter 291) where the colonial imagination fabricated the New World as an empty and dark continent outside the privileges of European historical development. This fabrication—emulated by a broader imperial print culture that brought forth titles such as Shakespeare’s The Tempest (1611), Danial Defoe’s Robinson Crusoe (1719), and Robert Michael Ballantyne’s collection of tales (Check out RG's page for an excellent resource on Ballantyne’s heroism and adventurism)—was a fundamental justification for the displacement and upheaval of Indigenous communities from North America to South Africa (Veracini 63). On the other hand, “to light on” brings to mind the settler’s additional justification of colonialism: bringing light in the form of history, knowledge, and civil politics to a dark continent. In the words of Frantz Fanon: “The colonist makes history. His life is an epic, an odyssey. He is invested with the very beginning: ‘We made this land.’ He is the guarantor for its existence. “If we leave, all will be lost, and this land will return to the Dark Ages” (14-15). Of course, it was not necessary for the colonizers to bring their systems of knowledge and history to the land they supposedly discovered. For example, in the context of Turtle Island (or “North America” as we call it in our colonizing parlance), a rich oral history “ranging from proverbs to wide-ranging cycles of interconnected stories” (Bringhurst 18) belonging to Indigenous communities continues to foster a relationship with place that obviously predates the centuries of settler colonial imposition of knowledge over Turtle Island. As Anishinaabe scholar Leanne Betasamosake Simpson describes, Indigenous knowledge, in the form of story-telling, language, and embodied practice produces “networks” (154) of learning and understanding of place. Language, embodied by story-telling and song, for many Indigenous communities located in the context of Canada, engages with place, mapping the history, knowledge, and practice that the land itself generates. This embodied knowledge persists as a cartography of refusal that rejects settler colonial knowledge of place. Although Indigenous technologies of story-telling do not immediately resemble the technology that is the book (Fraser 24-25), they nevertheless function as technologies of mapping. 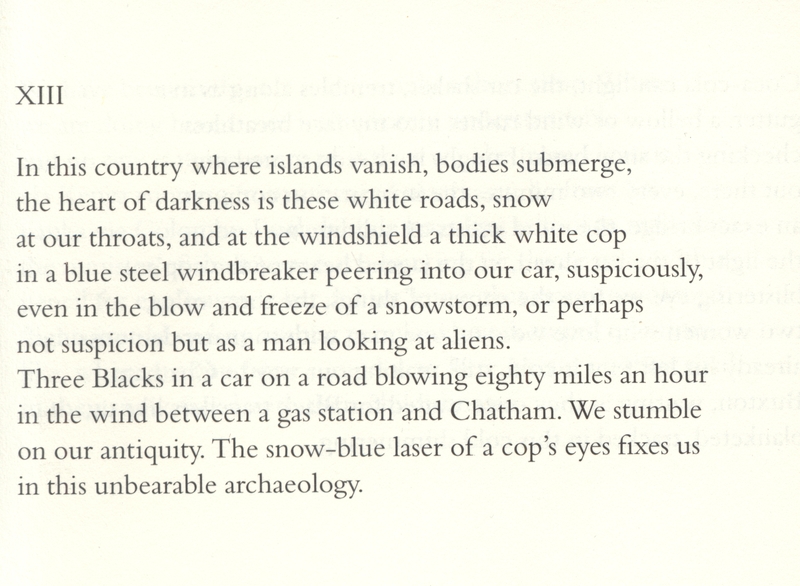 I take Canadian poet and typographer Robert Bringhurst’s point here that books can be “invisible” (11). In other words, we must consider the materiality of the book beyond pages, spines, and covers and through the materiality of language and embodied practice. A book, “if it is real […] is also larger than we are: a city or a forest” (Bringhurst 11) insofar as its materiality—whether that be the tangibility of pages or oral storytelling—connects us to place like any map. Below is an image of this book object’s cover, which has been rendered as an interactive map. When I imagined this page, the idea was that I would find a book filled with book traces—the myriad of markings that fill the white space of a book—or even a book that showed signs of love and commitment that could be mapped. Since embarking on the research for this page and reading Brand’s other work, I have retuned this concept via a cartography of refusal. This map works by taking the user to places on this page; however, these places that are not always obvious. I have found that the places this book object takes do not conform to an identity bound to a distinct nationality, landscape, or space. Each place offers, at times, a resistance towards or refusals of the boundaries suggested by the bibliographic details that come before the text itself while, at other times, reimagines place all together. Click anywhere on the book cover to be teleported to a different section of this exhibit. Hovering your cursor over the book cover will provide a clue as to your destination if you chose to click. Each destination or place provides a “Return to Map” link. Feel free to explore the map at your leisure or continue downward through this exhibit at your own pace. I have provided an Itinerary of all the destinations if you chose not to interact with the map. , which turns a regular .JPEG file into a collection of links. To make the map, you draw invisible rectangles that delineate clickable areas on the image. The code, in other words, remediates the physical book object into an interactive map. Underneath the book cover, at the bottom right corner of the first leaf, a nearly invisible stamp marks the belonging of this book object. It has been claimed by the University of Victoria’s Special Collections as a gift from Professor and poet, Stephen Scobie. I have ruminated, since my first interaction with this book object, about what makes this addition to the Special Collections special? Of course, it is a gift, and yet this book object appears untouched, if not entirely unmarked by the love of an academic’s pencil. In other words, it lacks the cultural expectations of a gift such as an address or some indication of sentimental value (check out M. T.'s page that showcases a book as a gift). It remains unassuming and anonymous. Fig 3.1: A stanza from poem "XIII" on page 100. Mixing the motifs of roads, ocean, and black diaspora experience, Brand laments the settler colonial gaze in a similar vein as Frantz Fanon in Black Skin, White Masks. My ruminations have lead me to consider the role of Special Collections. As I am writing this excerpt, I have beside me this book object’s foil: the McPherson Library’s copy of A Map to The Door of No Return. The jacket has been stripped away (alluded to in the copyright page) for a generic, brown hardcover, which is complete with a title, last name, and call number. The outside pages have been stamped with the faded in of U of V. I offer this description as a contrast as to how libraries preserve texts for different utilities. Sometimes I imagine the page as a flat surface. Yet, as I hold onto this book object in preparation for scanning the pages for this exhibit, I pause to reflect on the shifting landscape of the page and how digitization flattens the natural curve that emerges in the material. On this page in Figure 4.1, the landscape casts a shadow to the left where the words seem to be sliding into the gutter. But on the right, like at the edge of a cliff, my fingers hang in anticipation of the page to come. The jacket cover is a picture of Mt. Irvine, Tobago, originating from Brand’s own collection of photography. It depicts the landscape of the beach and the sea, orienting our perspective to the right. As such, the ocean ebbs and flows to the left of our body. Indeed, the Caribbean Sea sits to the left of the Trinidad and Tobago islands. The ocean surfaces as another motif. Oceans, where black bodies were and still are trafficked along currents and networks of capital. Fig 4.1:The contents page for Land to Light On. Due to where the "contents" resides and the cheap binding of the book, it was difficult to avoid a shadow in the scan. However, I found that the landscape of the page resisted the remediation of the book object into a flat, 2D image. How do landscapes orient us to places, to nationalities, and to identities? Early 19th-century print culture of the settler states of America and Canada shaped national identity through the proliferation of landscape scenery in print media (Johnston 5). Along with popular landscape printing, advances in print technology enabled landscapes embedded with text engendered a cohesive sense of identity and history (Johnston 9). In the Canadian context, Kaya Fraser posits that “the language of Canadian literature and culture has tried very hard to define identity in terms of landscape, but this is a construction that relies on uncertain significations and convenient ahistoricism” (303). Indeed, Canadian landscape poetry, painting, and its fetishization in broader literature has erased Indigeneity as well as ignored the multitude of bodies exploited to cultivate a Canadian civilisation. Hence, Kevin Monkman’s radical re-imagining of Canadian landscapes as fraught, convoluted, and filled to the brim with histories that reshape and shift the contours of landscapes. Maps that get wet and rinse out, in my hand anyway. I’m giving up what was always shifting, mutable, cities’ fluorescences, limbs, chalk curdled blackboards and carbon copies, wretching water, cunning walls. Books to set it right. Look. What I know is this. I’m giving up. No offence. I was never committed. Not ever, to offices or islands, continents, graphs, whole cloth, these sequences or even footsteps. (Brand 47). 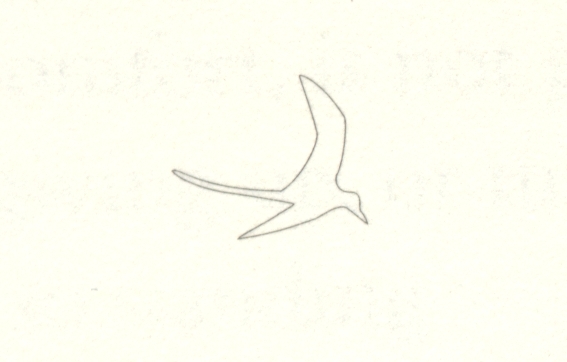 Fig 5.1: An outline of a bird that I presume to be an Arctic Tern. Found nine times through Land to Light On, always in flight. This image specifically sourced from the final chapter, "Every Chapter of The World." Landscapes can also be a bird’s eye view. Underneath each chapter heading, there is an outline of an unidentified bird. I asked my partner—a zoologist and connoisseur des oiseaux—if by chance he had any inkling as to the identity of the figure. Based on the long, narrow plumage the sleek wings, and the beak it is most likely an Arctic Tern (see Figure 5.2). To be sure, it bears a resemblance to the infamous, wandering Albatross from "The Rime of The Ancient Mariner" by Samuel Taylor Coleridge (check out DK's exhibit on the poetical works of Coleridge). In general, Terns have evolved to make incredibly long migrations across the world. The Arctic Tern, however, has the longest migratory route of any other bird, traveling from the Arctic to the Antarctic and back again yearly—an average of seventy-thousand kilometer travel distance. Along its journey, it passes along North America’s coasts, down through Latin America, often cutting across the island of the Caribbean Sea, before finally resting on the frigid islands of the Antarctic. Fig 5.2: A photo of an Arctic Tern mid-flight. Trinidad is home to over two dozen species of Tern, including the Arctic Tern. Other migratory birds make their seasonal home Trinidad such as the noble, Canadian goose (White, Kenefick & Murphy 57-58). What does one make of nationalized birds, such as the Canadian goose, who make yearly journeys to different parts of the world? I see the Arctic Tern that migrates through the pages of Land to Light On as an image that beckons a cartography of refusal insofar as the migration pattern of the Tern is transnational. These birds chart “Every Chapter of The World” (Brand 87; see Figure 5.1). Amongst the bibliographic information and below the identification of the typesetting, a curious declaration resides. It reads, “Printed and bound in Canada.” I see three interrelated orders of operation in this casual sentence. 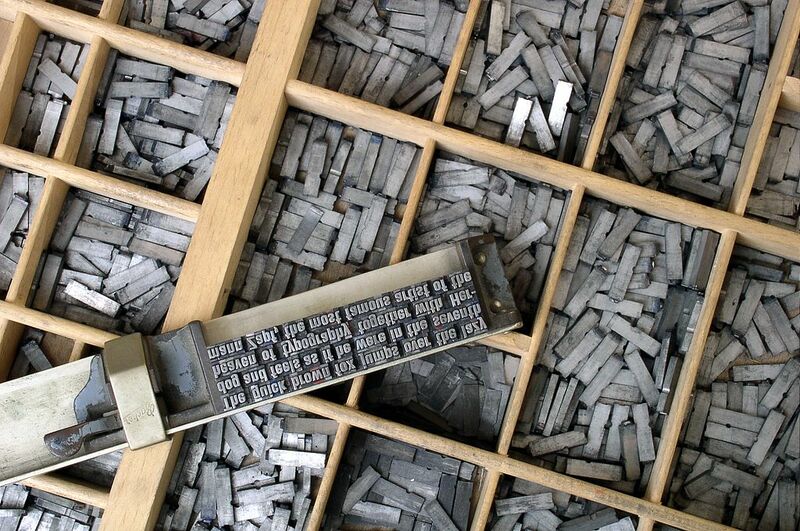 1) An unassuming description of print technology. That is to say, the book was bound and printed in Canada, satisfying the demands of funding bodies, which mandate a certain percentage of the book material must remain Canadian to preserve a materiality of Canadianess. 2) A boundary line that demarcates Canada as a distinct place. 3) Bound to or bound up with Canada as a national identity. In Imagined Communities, Benedict Anderson makes the observation that the birth of the printing press is what enabled the formation of national consciousness across the large areas that a nation state claims as its own. For Anderson, the modern nation state, posed as an imagined community through a myriad of interconnected print cultures, was defined by not so much the centres of previously imagined communities of empires, kings, and nobles, but the borders and boundaries that give the imagined community a sense of shape and shared space (19). This declaration found in the book object engenders this idealization of a shared community. Fig 6.1: A page from Land to Light On. While musing the networks of roads, Brand also questions the networks of capital, corporations, and profit. Indeed, the publisher McClelland & Stewart was once a coveted Canadian publishing house, who committed itself to the mission to publish high quality Canadian voices (Panofsky 8-10). However, what makes a voice Canadian? To be sure, Brand’s voice has been assimilated into a canon of Canadian poetry (Keith par. 21), but this act of drawing national boundaries around Brand’s work or bounding Brand to a Canadian canon fails insofar as Brand’s work refuses a cohesive national identity. Founded in 1906, the publishing house—finding a home in Toronto with a close affiliation to the University of Toronto—was eventually bought out by Random House in 2011. None of the companies shares belong to Canadians. As such, my personal copy of Land to Light On declares that it is “Printed and bound in The United States of America.” A long list of financial support from Canadian funds precedes this national boundary. The political economy of this book object’s materiality has been engulfed within a “wave of takeovers, mergers and restructuring” (Brand 13; see Figure 6.1). An anonymous hamlet in southern Ontario surfaces as a motif in Brand’s work. In A Map to The Door of No Return, Brand confesses that a few manuscripts were penned along the network of icy roads that span across southern Ontario. Roads, of course, that touch the border between Canada and the United States. Roads, of course, that fetishize the landscape of fabled American stories: American Gods, Blue Highways, The Wayward Bus, and On the Road. Roads are at once a feature of the landscape but also a feature of change, a changing landscape, because, after all, the landscape has been upturned, demolished, and blasted to draw the 401 across the province. 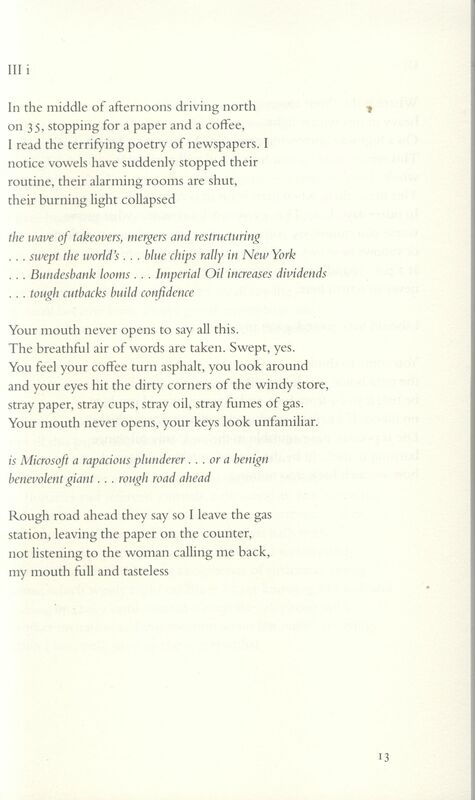 Indeed, for Brand roads are struggle: “On a highway burrowing north don’t waste your breath. This winter road cannot hear it and will swallow it whole” (Brand 14). Fig 7.1: A page from Land to Light On. Here, Brand describes the Ontario scenerey as something less than steller, and reminisces about the ocean of her child hood. Whereas roads function, perhaps, as a literary aesthetic for American heroism and its other half, consumerism, for a woman of the black diaspora they depict nothing but loss. As Brand laments, “I am losing roads” (1). There are roads where “a white man in a red truck […] jumps out at you, screaming his exact hatred of the world” (Brand 4). There are roads deckled with the glow of red and blue of patrol cars. There is the highway of tears, where hundreds of missing and murdered Indigenous women remain lost. I want to offer a brief thank you to Dr. Alison Chapman and the Fall 2018 English 500/A01 cohort for their thought-provoking questions and valuable suggestions throughout the semester. Thank you to Dr. Matt Huculak for his suggestion for improving the map functionality. And thank you to Alex for your insight on birds. Of course, as a page dedicated to maps and land, I wish to acknowledge the Songhees, Esquimalt and WSÁNEĆ peoples on whose historical relationships with the land continue to this day and where much of this page’s intellectual labour and writing was completed. Nationalism. Revised edition. 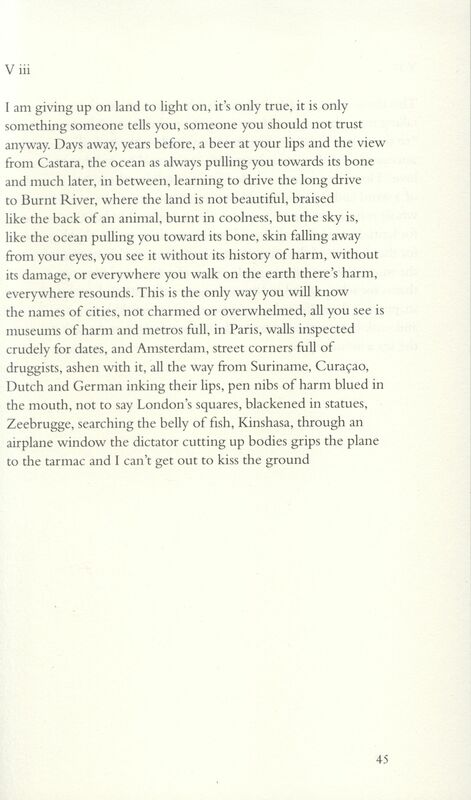 Verso, 2006. Ashcroft, Bill & Griffiths, Gareth & Tiffin, Helen. The Empire Writes Back: Theory and Practice in Post-Colonial Literatures. Routledge, 1989. Brand, Dionne. Land to Light On. McClelland & Stewart, 1997. Brand, Dionne. A Map to The Door of No Return: Notes to Belonging. Doubleday Canada, 2001. Blaeu, Willem. "Africa Newly Described." Found in "Reclaiming Africa's History from the West." The Real African. July 2017. Web. http://www.therealafrican.com/2017/07/reclaiming-africas-history-from-the-west/. Accessed 06 November 2018. Bringhurst, Robert. The Surface of Meaning: Books and Book Design in Canada. Canadian Centre for Studies in Publishing Press, 2009. Bush, Ruth. ““Publishing Francophone African Literature in Translation: Towards a Relational Account of Postcolonial Book History.” Intimate Enemies: Translation in Francophone Contexts. Edited by Kathryn Batchelor & Claire Bisdorff. Liverpool University Press, 2013. Pp. 49-66. Codell, Julie F. “Introduction: Imperial Co-Histories and the British and Colonial Press.” Imperial Co-Histories: National Identities and the British Colonial Press. Edited by Julie Codell. Rosemount Publishing & Printing Corp, 2003. Pp. 15-29. Conger, Ken. "Critical Connections: Conserving Migratory Birds in Alaska’s National Parks." National Parks Service, 2015. Web. https://www.nps.gov/articles/aps-v14-i2-c3.htm. Accessed 19 November 2018. Dunbar, Eve. Black Regions of the Imagination: African American Writers Between the Nation and the World. Temple University Press, 2013. Engel, Jordan. "Khéya Wíta." The Decolonial Atlas, 2017. Web. https://decolonialatlas.wordpress.com/2017/02/02/lakota-territory/. Accessed 15 November 2018. Fanon, Frantz. The Wretched of the Earth. Trans. Richard Philcox. Grove Press, 2004. Finkelstein, David & McCleery, Alistair. An Introduction to Book History. Second Edition. Routledge, 2013. Fraser, Kaya. “Language to Light On: Dionne Brand and the Rebellious Word.” SCL/ÉLC, vol. 3, no. 1, 2005, 291-308. Fraser, Robert. Book History Through Postcolonial Eyes: Rewriting the Script. Routledge, 2008. Johnston, Matthew N. Narrating the Landscape: Print Culture and American Expansion in the Nineteenth Century. University of Oklahoma Press, 2016. Keith, W.J. et al. "Poetry in English". The Canadian Encyclopedia, 04 March 2015, Historica Canada. https://www.thecanadianencyclopedia.ca/en/article/poetry-in-english. Accessed 20 November 2018. Kenefick, M. & Murphy W.L. & White G. “The Status and Abundance of Birds in Trinidad and Tobago.” Living World, J. Trinidad and Tobago Field Naturalists’ Club, 2007. Pp 56-68. McClintock, Anne. Imperial Leather: Race, Gender and Sexuality in the Colonial Contest. Routledge, 1995. Panofsky, Ruth. “’I am being taught my own work’: Editor Claire Pratt of McClelland & Stewart.” Papers of the Bibliographic Society of Canada, vol. 50, no. 1, 2012. Pp. 5-26. Simpson, Audra. Mohawk Interruptus: Political Life Across the Borders of Settler States. Duke University Press, 2014. Simpson, Leanne. As We Have Always Done: Indigenous Freedom through Radical Resistance. University of Minnesota Press, 2017. Veracini, Lorenzo. The Settler Colonial Present. Palgrave Macmillian, 2015. Wynter, Sylvia. “Unsettling the Coloniality of Being/Power/Truth/Freedom: Towards the Human, After Man, Its Overrepresentation—An Argument.” CR: The New Centennial Review, vol, 3, No. 3, 2003, pp. 257-337.